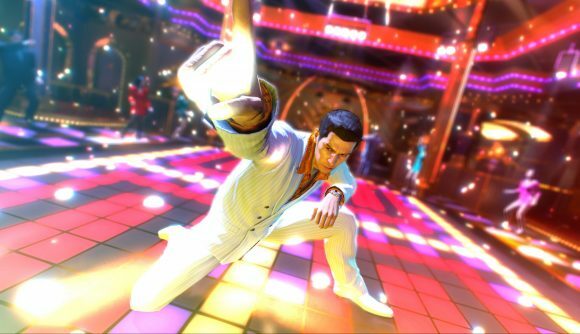 The Yakuza series finally comes to PC today, with the release of Yakuza 0. The prequel to the long-running series releases this afternoon at 15:00 BST (10:00 ET), and will be available on Steam for just £14.99 (around $20), although Voidu can get you a key for just $12.44. Yakuza 0 is the sixth main entry in the series (confusingly, 2016’s Yakuza 6 was the seventh). It takes the action back to 1980s Japan, with action across Tokyo and Osaka, following a much younger version of series protagonist Kazuma Kiryu as he is framed for the murder of a civilian and is hunted down by the Tojo Clan. Meanwhile, long-running supporting cast member Goro finds himself protecting a blind girl who he was supposed to assassinate, which serves only to make Goro himself into a target. Until now, the series has – with a few minor exceptions on Wii U, mobile, and once on Windows – only been available on PlayStation consoles, with Western releases tending to follow several months after the games release in the East. Yakuza 0 seems to introduce several handy PC optimisations, including 4K resolution, unlocked framerates, full controller support and remappable keys. That’s good news, as it seems Sega are taking their PC port seriously. As I mentioned, you can pick up Yakuza 0 on Steam or Voidu (use code SUMMER18 for 18% off). The latter is a steal at less than a tenner, and Yakuza 0 is a great jumping on point for what I’m told is a hugely entertaining franchise. If you’d rather not take my word for it, you can check out a trailer in the video above.